Quinta da Senhora da Ribeira was originally acquired by Dow’s in 1890. The years after the Second World War were very difficult for the Port trade, and the decision was made to sell this Quinta in 1954. In most years, however, Dow’s bought and vinified the Quinta’s grapes, so they continued to be fundamental to Dow’s Vintage Ports. The Symington family marked the Bicentenary of Dow’s in 1998 by repurchasing the Quinta once more. The property is situated in the Douro Superior, the eastern-most, hottest and driest sub region of the Douro valley. The vineyard aspect is primarily south facing. The very hot climate through the Summer at this vineyard results in highly complex and concentrated wines but very low yields. Colours of the musts in the fermentation tanks are always purple-black due to the very high skin to juice ratio. The old vines add further to the intensity of the wine as they make up a very large percentage of the vineyard. The resulting wine can be described as being the essence of Vintage Port, with powerful wild red-fruit flavours, leading into rich black chocolate notes, the whole balanced by complex, attractive and peppery tannins. 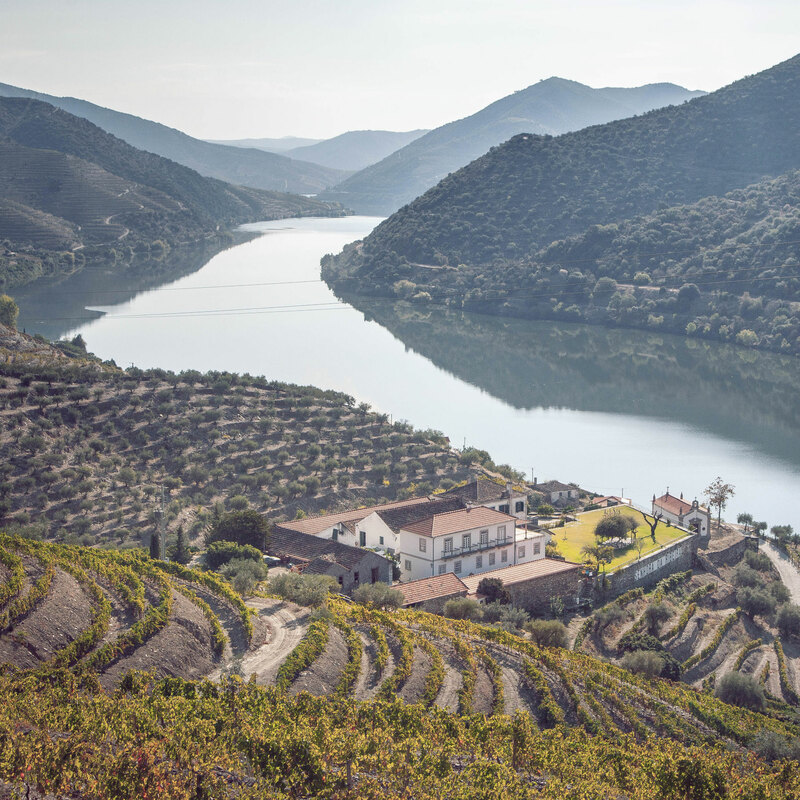 Senhora da Ribeira has one of the most advanced small specialist wineries in the Upper Douro, containing seven original granite lagares for foot treading and three modern lagares designed by the Symington family and installed in 2001. Both are used during the harvest. Farmers in the surrounding valleys who have been supplying Dow’s for years also bring their grapes for vinification at the Quinta.